With the multitudes of patron saints admired throughout the world, the popularity of one saint is growing expansively. 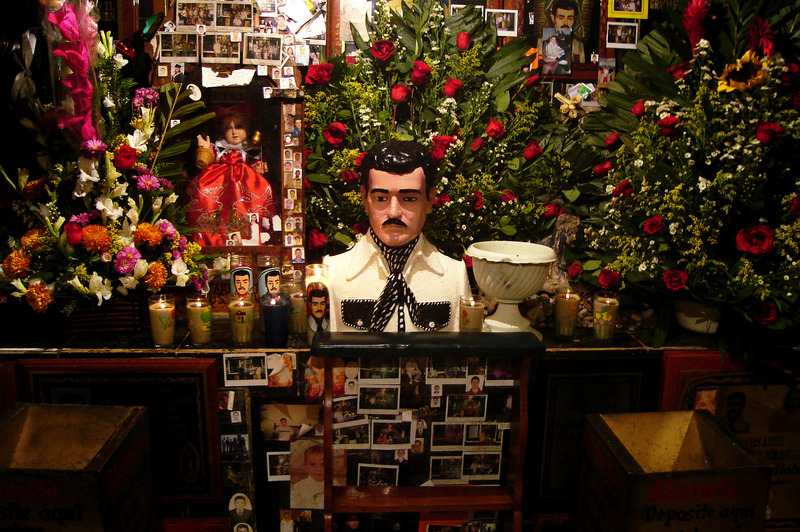 Jesus Malverde is often described as the patron saint of drug traffickers, or el Narcosantón. 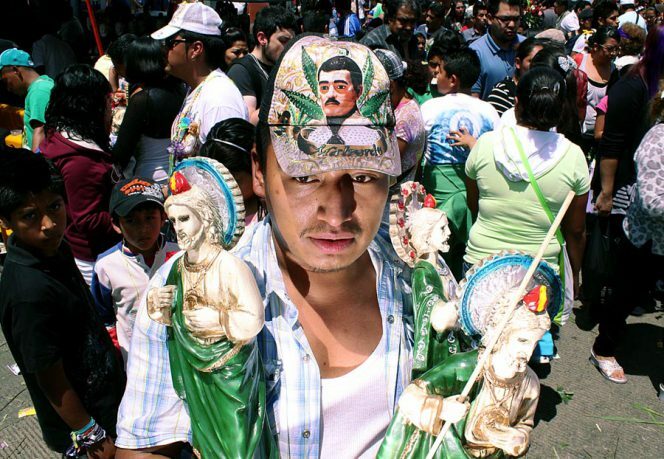 His place in Mexican culture bisects both boundaries of urban folklore and drug wars. Malverde is treasured as a heroic Robinhood-like figure amongst society’s poor, as he allegedly stole from the wealthy to relieve the burdens of his fellow citizens. The desperado is modeled after Jesús Juarez Mazo from the Sinaloa capital of Culiacán. He was a simple man who led an average life until the death of his parents when his lifestyle took on a different path venturing into a world of crime. Over time Malverde’s legend was adopted by the regional drug cartels in lieu of their own prestige which expanded his popularization even more. 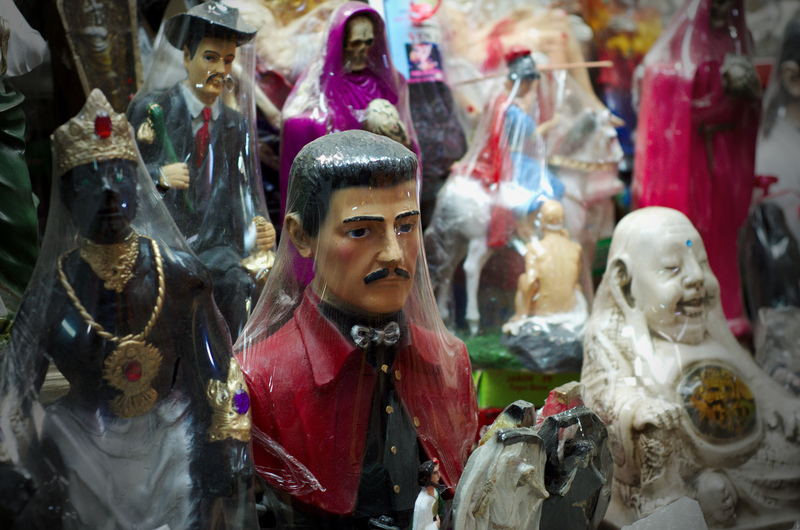 The popularity of the Malverde cults skyrocketed in the 1980’s and 90’s in wake of the Mexican drug cartels’ rise to power. Because of this, the cartels used the affiliation to Malverde as an opportunity for allowing his heroic attributes to be associated into their own crime campaigns.